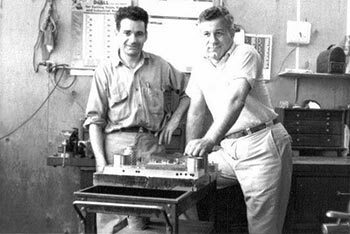 In 1959 Andrew Lapossy and Alfred Thurer, both highly skilled die makers, started Imperial Die & Mfg. Co. They were joined by John Yurchenko, an experienced stamping die designer, shortly thereafter. He stayed for 10 years and remains a good friend. All had left good jobs at the successful Triad Metal Products Co. in Cleveland. In spite of some initial hard feelings, “Triad” became their best customer. There was plenty of work and it kept coming due to the quality of product and service. The client base grew to include The Tinnerman Co., IBM Lexington Div., The Hoover Vacuum Co., and Erico Products to name a few. Kenneth and Ronald Lapossy joined the company in 1967 and 1968, respectively. In 1969 conventional cutting and grinding machining of die components was complemented with EDM (electrical discharge machining). Daniel Lapossy joined the company that year. In the years to follow try-out presses were supplemented with production stamping lines. The early ‘80’s brought (CNC) wire EDM that started a revolution in the way dies were designed and made. CNC machining came in the ‘90’s. The later ‘90’s brought CAD CAM. In 1991 Daniel left to pursue a business around his love of roller-skating. Space and zoning restrictions made growth difficult at the Cleveland location and in 2001 we moved into our current location in Strongsville, Ohio. 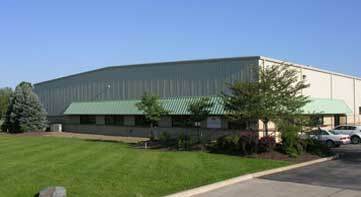 Our stamping department has grown since then to the full capacity of our building. Andrew retired in 1994. Ken and Ron continue running operations with Ken’s son James taking on more responsibilities since starting in 1996. We are all helped with a very talented crew of people, many having spent years at their trade with us. Over the years many fine toolmakers have spent time at “Imperial.” They have gone on to other things and we wish them well. No fewer than 5 have started their own related businesses. We have been in business since 1959 with a commitment to meet or exceeded customer expectations with many of our customers continuing to partner with us today. Our Engineers, Die Makers, Press Operators and Machinists are among the most highly skilled. We reduce your costs and cut your lead-time with Value Added/Value Engineered Solutions and Just in Time Delivery (JIT). We work with our customers to design their tooling and/or modify the part to improve performance, reduce material use, limit secondary operations, increase production rates, and increase profits. We design and build precision progressive dies that have greater precision, longer life, and run better with our extensive knowledge and skill level. We design and build long life and low maintenance into the Die! Our products are MADE IN THE USA. We are closer to our markets and provide better service both before and after the work is done. Lead-time and problem resolution is done quickly. QUALITY. At IMPERIAL DIE & MANUFACTURING CO., we build the quality in up-front! In this global industrial market for precision dies, tools and parts, the journey to zero defects must start in the design and proven before the customer takes delivery. Simply put, that is what we do!